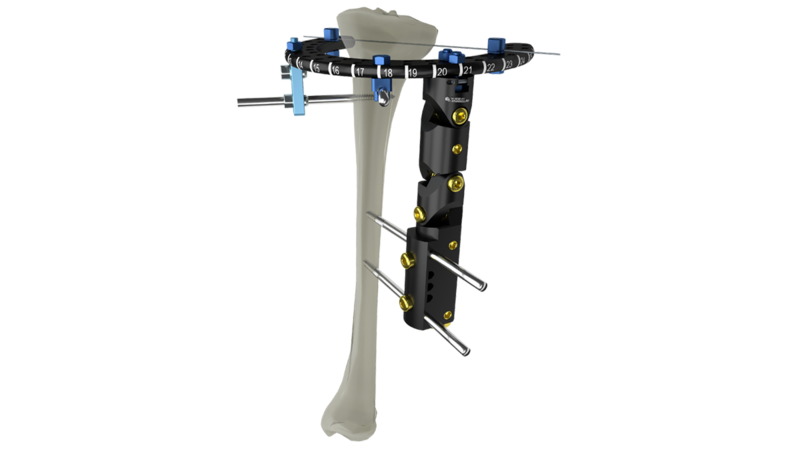 The UniX Unilateral Fixator System adapts multitude configurations that can address periarticular as well as diaphyseal applications, including: complex fractures, malunions, fusions and corrective osteotomies. 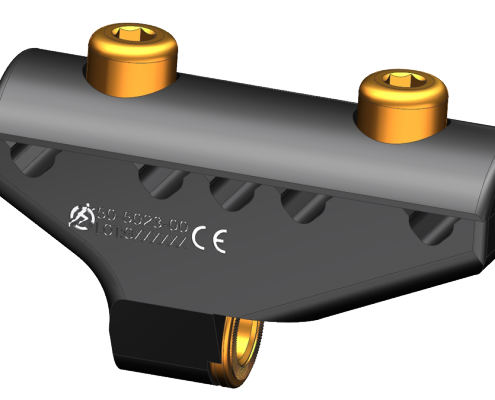 Compression/Distraction mechanism permits precise, incremental adjustment. 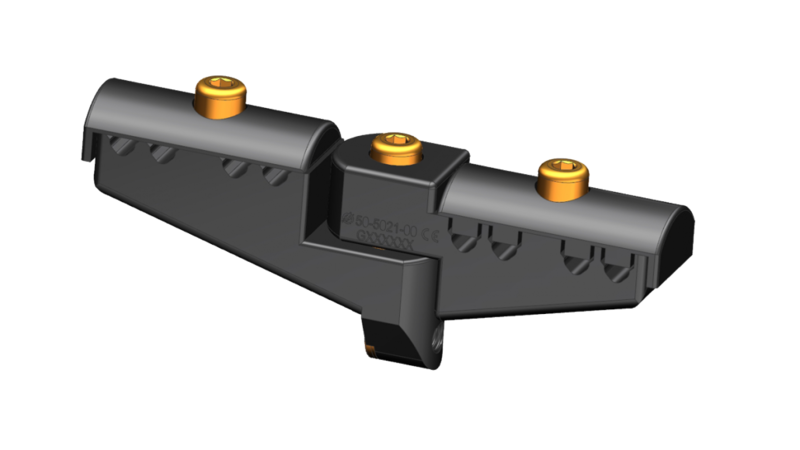 Each full turn of the C/D unit will compress or distract 1 mm allowing max. 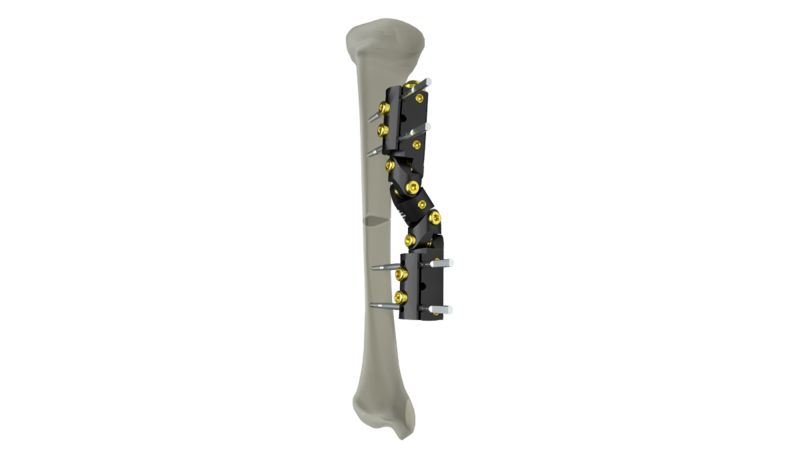 10 cm compression or distraction to optimize screw placement and fracture reduction. 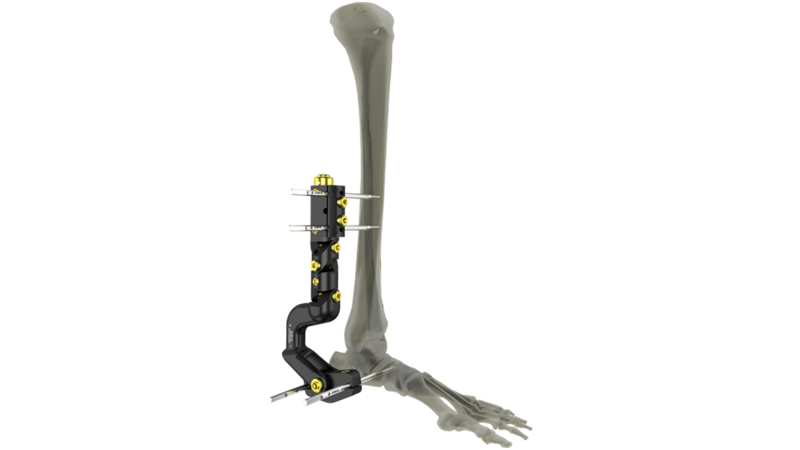 The fixator body components provide precise control for the reduction of angular, translational and acute limb length discrepancies and true rotational correction, remarkable in a uniplanar fixator. 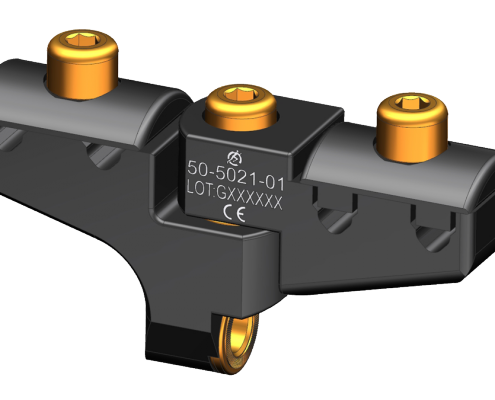 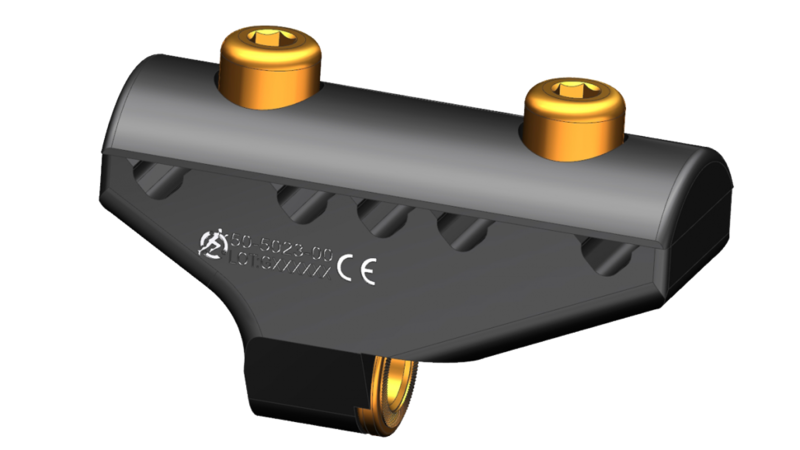 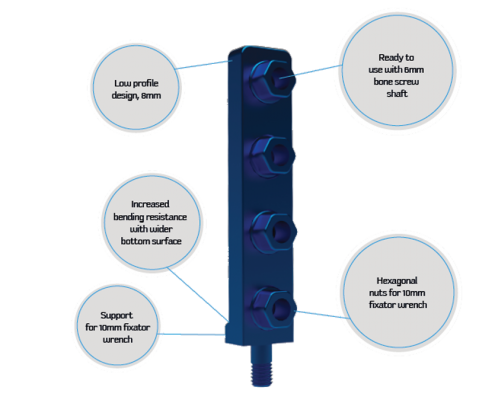 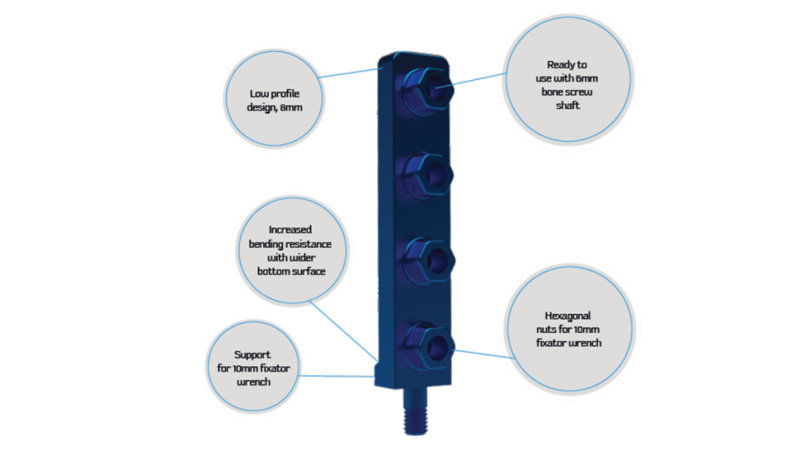 Serrated locking connectors provide exceptional holding strength, component modularity, forgiving joint articulation (120°) and precise angular, rotational and translational corrections. 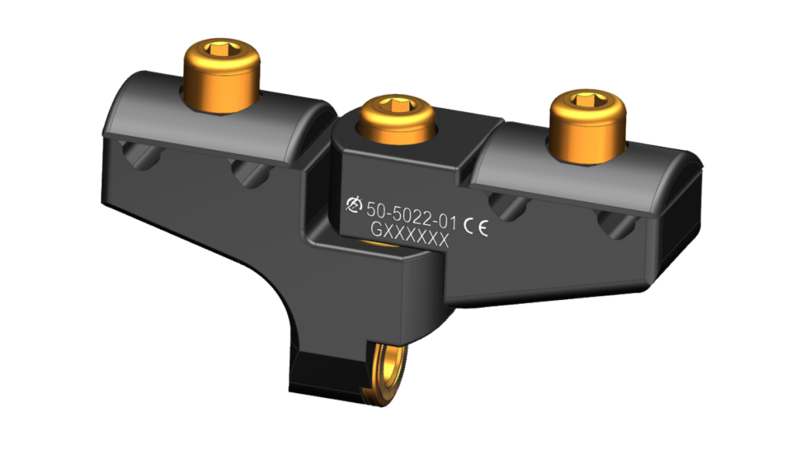 UniX Unilateral External Fixator family has three different size of the fixators for different applications; X-Small, Small and Standard. 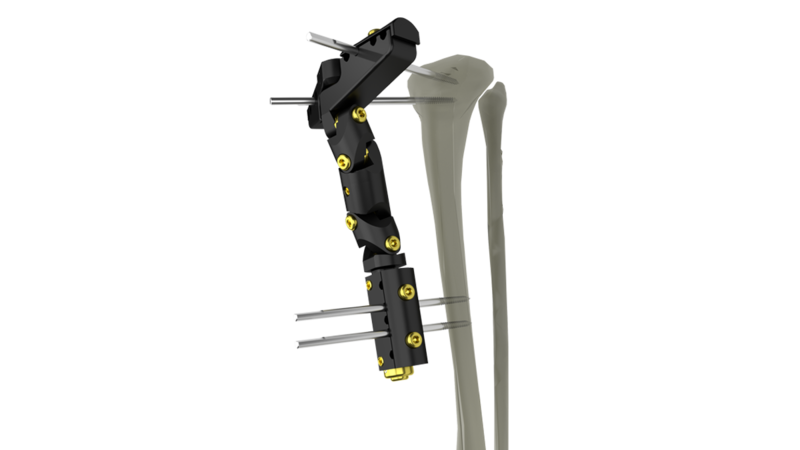 UniX Unilateral External Fixator family contains wide range of clamps for different applications on femur, tibia and humerus. 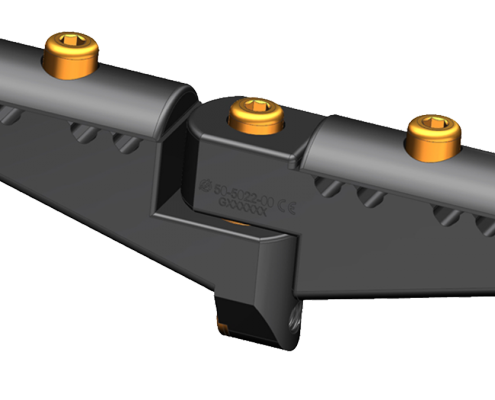 System includes ankle clamp, standard and convergent T-clamps in both small and standard sizes. 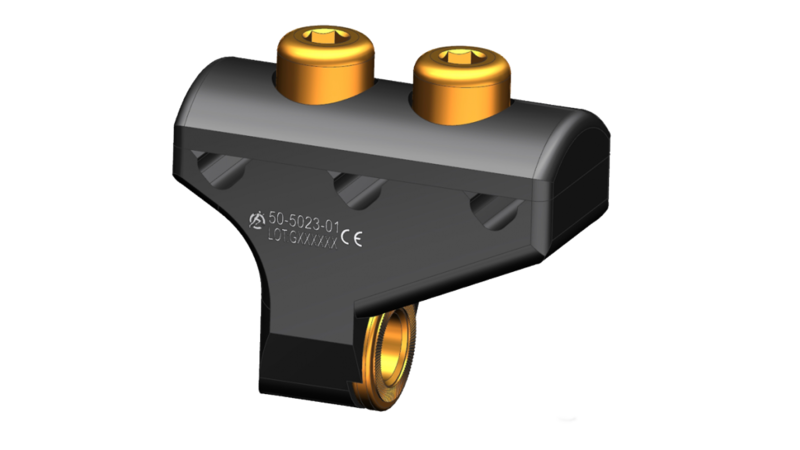 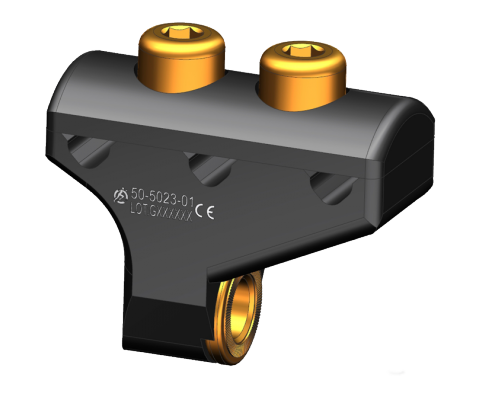 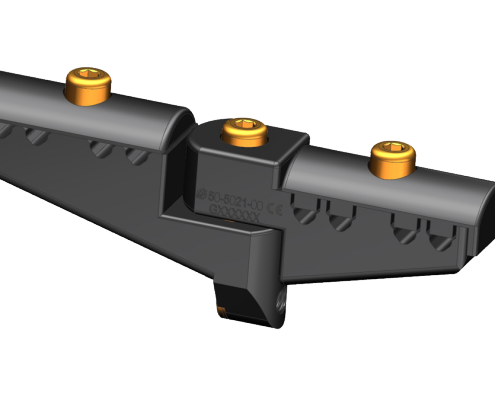 All clamps are suitable to be used with both small and standard sizes. 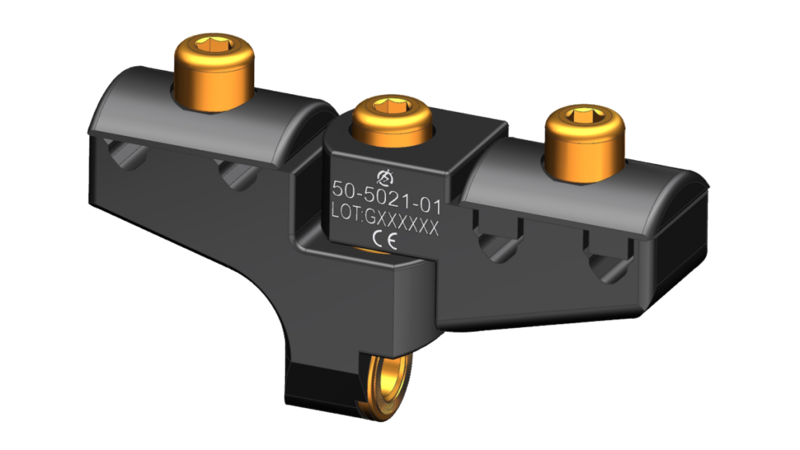 Advanced Wire/Screw clamps provide great flexibility on positioning the wire and screws according to fixator position over the fracture line. 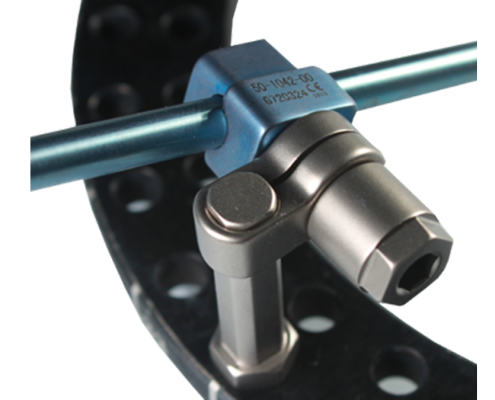 Advanced clamps allow surgeon to change the height, direction and angulation of wire/screws. 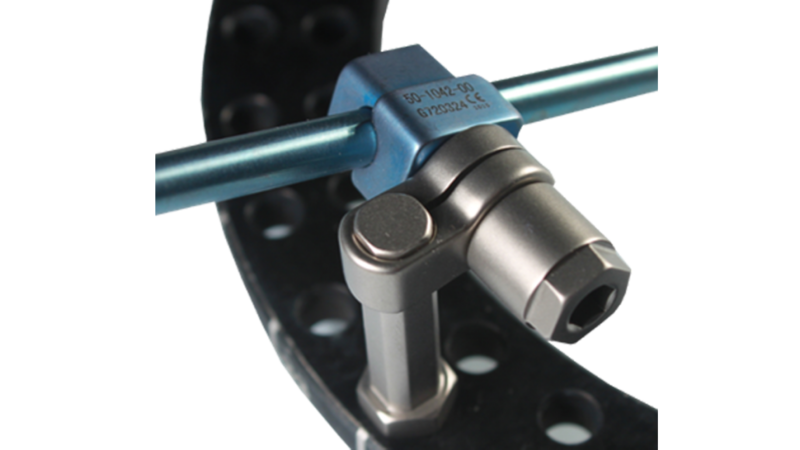 EasyLock clamps provide fast and strong fixation for bone screws. 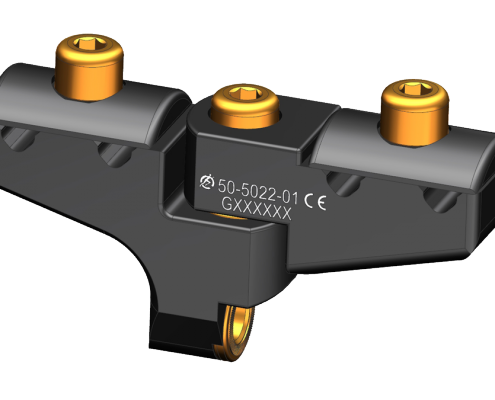 Ring Adapter: Ring adapter is a single component to connect the fixator on the ring. 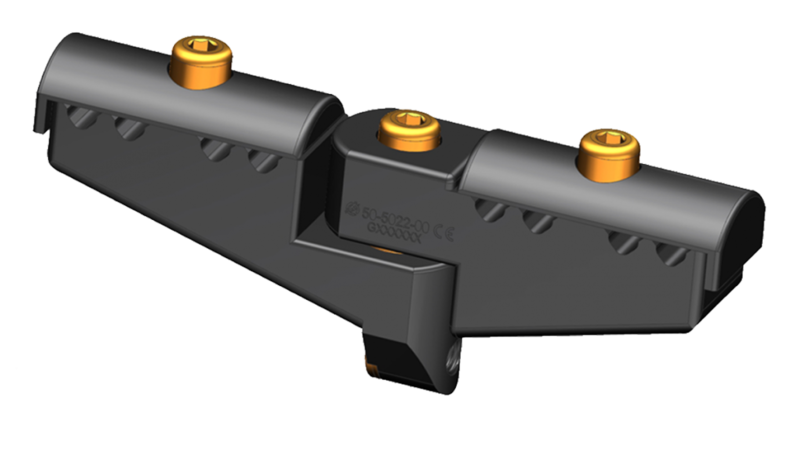 Rings: UniX family uses Smart Correction rings and providing flexibility to combine and/or revise the system with Smart Correction easily.